Anesthesiologist Dr. Roshan Radhakrishnan believes in the healing power of love and laughter, but practices medicine just to be on the safe side. 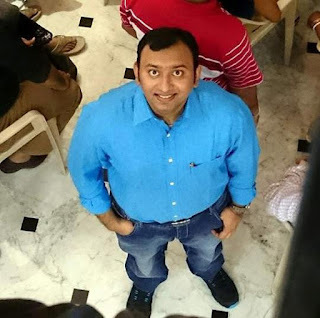 A dog-lover, buffet assassin and sitcom addict, he has over three dozen published short stories in multiple anthologies and e-magazines till date. He blogs at www.godyears.net which in 2014 was chosen as the Best Blog in India for Creative Writing at the country’s first Blog Conference and Awards Ceremony. Welcome to ‘On Writing’ Dr. Roshan. 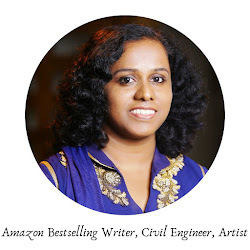 You are a full-time doctor and an award-winning blogger whose posts go viral and have written more than 36 short stories for various anthologies. Tell us the truth; do you have a time-turner similar to the one that Hermione Granger used in Harry Potter? Hi, Preethi. Glad to be here. If I did have that device, you can bet my first priority would be noting down winning lottery tickets and then going back in time to find those darn tickets!! Seriously though, it isn't easy, I admit. You sometimes have to go through 54-hour shifts where you are on call and in the hospital and by the time you reach back home, all you want to do is crash in bed. I usually keep updating ideas for various posts and stories on my Evernote app and then when I find the time at night or in between cases, work on them. So when I finally reach home and turn on my laptop, the synced version of what I had written on my mobile is waiting for me on my laptop. What among the three gives you maximum joy? Blogging, healing or writing? Though the "blogging doctor" tag seems to have become synonymous with me, I would honestly place blogging third on that list. I remain primarily an anesthetist - one who relieves your pain. Writing and blogging are extensions of that goal if you think about it. Writing is cathartic and relieves my own stress while blogging allows me the chance to make you smile and think, hopefully relieving your own stress. Do you plot stories or write it the way the story takes you? I think plotting is essential for a novella or novel. For me, as a short story writer, I do start writing with a glimpse of what the theme of my story is but then work in various elements as I write. For example, in The Ballet which was published in Indireads Voices, Old & New, the initial idea was just a conversation between two sisters and how certain events in one sister's life affect her. Them practising dance at home was just meant to set a stage for the story but then as I wrote it, I started researching on ballet and our own traditional Indian dances and incorporating elements of each into it for each sister. In the end, the dance became the perfect metaphor for the entire conversation right down to the very last word which bonded not just the two dance forms but the sisters themselves. Your post ‘Why I would not allow my child to become a doctor in India’ created ripples worldwide. What were the most serious and most hilarious reaction/ outcome to that particular article? I never expected people would give it as big a reception as they did. Frankly, I thought I had done a much better job with a previous article "Doctors, defend thyself" from 3 years ago. But I am grateful to the doctors and readers who chose to take the time to read such a long article and opine on it before sharing it. It is because they did so that people and the media finally picked up on it. I anticipated the usual 300 footfalls for the blog post and was actually already preparing my next blog post on a random review of a movie when I started to get an inkling this time around people had actually started listening. By the end of the month, the post had over 2,00,000 hits and this was not counting the remaining sites like BBC, NDTV, ScoopWhoop, DocPlexus, DailyRounds et al who had shared it at their sites too. As for reactions, that is a bit more worrying. The numbers are there for all to see. Nearly a 1000 doctors opined across various forums (most of which I linked to at the site) and if you sit to count them, numerically 75% agreed with what I said. You would think I should be rejoicing since I was proven correct, but the fact is it is a very scary scenario. They all saw their past, their present and their possible future as doctors in India and that scared them. If the people within the system feel that it is not worth encouraging the profession to the future generation, then active steps must be taken to remedy this. But all we see are more and more regressive steps (decreasing funding for key health programs like TB, increased incidence of violence against doctors, blackmailing them into working in rural areas without giving them the facilities or equipment to actually save lives). The best reactions came from quite a few IMA bodies who were very grateful that someone belled the cat. Most importantly, I now see so many doctors finally standing up and speaking openly in various social media forums. A year ago, there was nothing like this. They were accepting violence and corruption silently. Now they know that their voice can bring about change. The weirdest response I got was from someone on Reddit, I think. He felt that all doctors were useless unless they discovered how to bring patients back from the dead! We doctors sat and discussed this in length actually - one part of us wondered if it was a personal tragedy that made him say so, but there was a less flattering response too, wondering if he was expecting us to start a zombie apocalypse! Anyway, if you must know - we do bring people back from the dead. When you see us doing CPR and eventually using a defibrillator on him, that is us kick-starting a heart that has stopped beating. You have contributed to the Indian edition of Chicken Soup for the soul series, an international best seller. Tell us about it. "The God Complex" is special for various reasons. It was my first published story and for it to be in the Chicken Soup series was truly amazing. More importantly, it was based on a patient whom my colleagues and I had treated; a young man who had been in the prime of his life before an accident brought him to death's door. Many had given him no chance of survival, but we still fought the odds for over a month watching him slowly regain consciousness and start to respond. There is an underlying theme running throughout the story about the attitude of doctors like us who start to believe we are Gods when we manage to beat horrible odds. But then again, life has its own ways of reminding us where we stand, doesn't it? There is a short epilogue here I would like to add - the impact of this story on my hospital department. If ever you needed proof on how your words can make someone’s day better, this is it. As a doctor what do you think about the power of words? Do you think writing is cathartic? Can stories heal? As for stories, yes they do strike a chord too. I make it a point to take screen shots of heartfelt comments I receive for stories I have written from readers. Till date, I must have at least 200 lovely comments from so many people I never even met for whom my story struck a chord in their personal lives. It serves as a reminder to me on what I should aim for with my stories, instead of just looking to increase the "published stories" count. 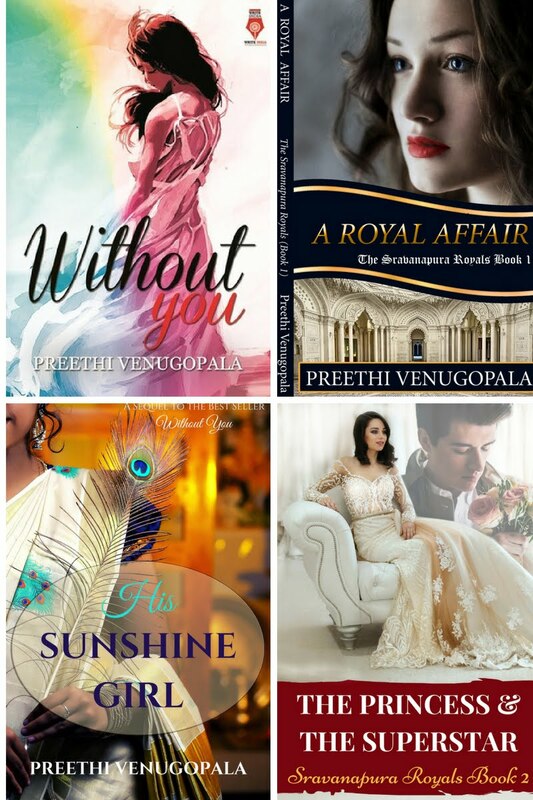 Among the stories that you have written, is there any one particular story that is close to your heart? Damn. How do I choose just one? Well, while "The Ballet" definitely required the most research and gave me a lot of satisfaction, "Heartstrings" from 'Love Stories that Touched my Heart' continues to get me comments from readers even today (literally, today as I write this!). "Harry's Bluff" from the highly underrated "Ten Shades of Life" was one story I enjoyed writing because of how I could play around with the characters and keep the reader guessing till the end. I think I would personally choose "Father of My Son" from the Urban Shots series. That story is one which is less about me as a storyteller and more of a reflection of what I am in real life. The fact that most readers personally spoke about that story while reviewing the book was heartening and inspired me to keep writing back when I just had two published stories. 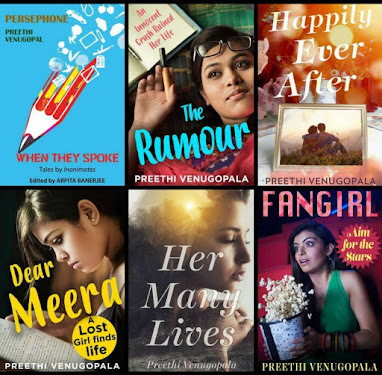 From two stories to 36 in less than 4 years covering a dozen genres has been a dream come true but it would probably not have been possible had I not received the support of readers who wrote in to say they loved the story. So there's some advice for you all - if you like just one story in an entire anthology, rather than insulting the whole book or every author, seek out the one good author and compliment him or her. Make someone's day special instead of ruining it. Are you working on any new story now? When are we going to hear about that novel that you are penning down? Oh boy. That is one major regret and possible failure from my part. I have been at it for literally years now. I guess I just feel at some level I may not be the best man for a full-length novel. There is even a wonderful and unique theme in my mind - I just don't know if I'm the right person to write it. 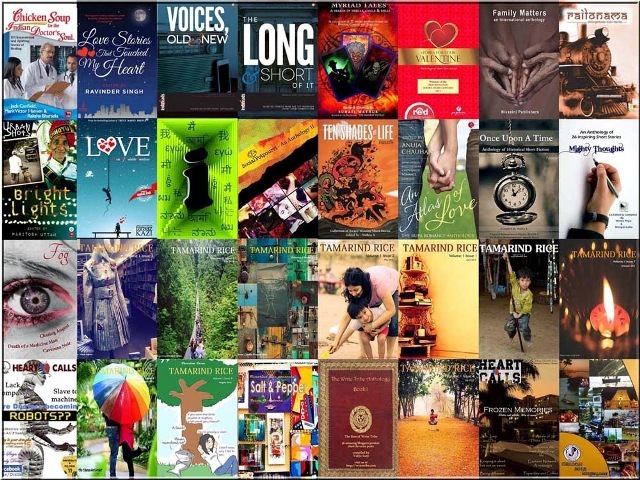 Sure, I have 36 short stories but am I good enough for a full-length novel? I don’t know. Plus, I really would like to have that long break where I could focus exclusively on the story but that is a luxury beyond my grasp presently with the work schedule of a doctor where I spend most of my life inside an operation theatre with patients of all ages from 1 day old to 95 years old. It is tough to switch the mindset from critical health care to author and back. What are the three tips you have for readers of this interview who are aspiring writers? (You can give links to article you have written about writing as well). You are in luck. Dr. Danny Simon just posted the tips I had shared with him on how to write a good short story. So it is not 3, but 10 tips you get! Thank you, Roshan. :) That was an enlightening and interesting chat! It was great chatting with you as well. Have a great day, everyone. Go ahead and buy his books folks, the doctor is an amazing raconteur. Delighted to read your well written post and to get to know about the good doctor. This is truly an awesome Q&A. So enjoyed reading it Dr. Roshan and Preethi. I hv read a couple of short stories by him, but this is truly jaw-dropping. Kudos! It's a passionate interview of Dr Roshan, a man who doesn't flinch with his inspiring stories. One of the authors I admire the most and such a gentle soul. I always learn something new from Preethi and Roshan.